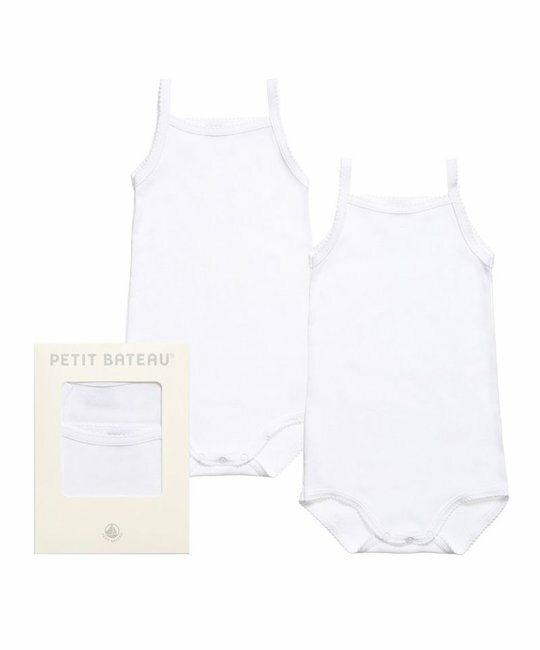 Petit Bateau soft cotton white 2 pack bodysuit set. 100% Cotton. Made in Morocco.